A dead battery in a smoke detector can get a surprising write up by a Buyer's home inspector. That is why we recommend that our Sellers have a Pre-Listing Home Inspection. In almost every transaction, we see a list of repair items found during the Buyer's inspection - items they request completed prior to closing. This can cause heartache for Sellers who feel they have negotiated their best deal, then feel annoyed when they are asked to make repairs to close the sale. 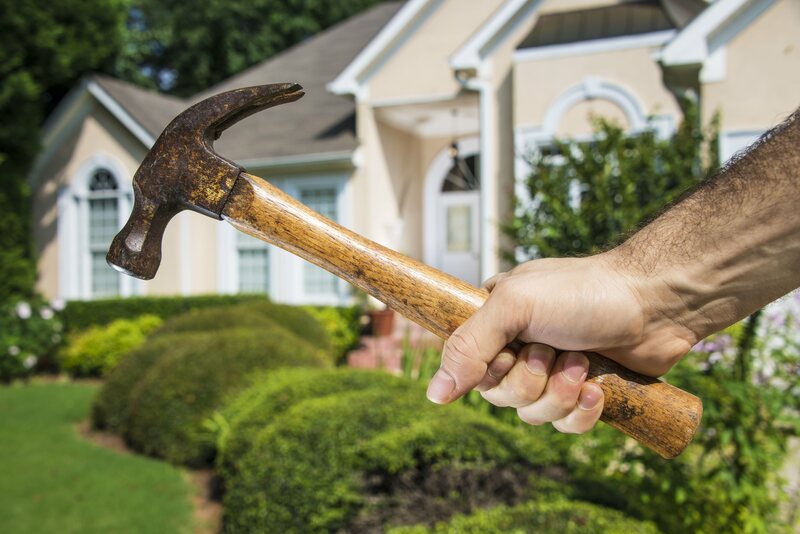 This can be avoided if a Seller has a pre-listing home inspection prior to putting their home on the market. Most of us live in our homes and don't address or even notice some of the issues that arise because they don't affect our daily lives. We look at homes for sale with a more critical eye than we do our own homes. By having a pre-listing home inspection, a Seller is made aware of major and minor inspection items prior to listing their home; allowing them to address these issues before going on the market and before negotiating a sales price with a Buyer. By doing so, the Seller decreases the risk of any "deal-killers", while netting the highest proceeds. Roof: are there any cracked or missing roof shingles? If so, the best thing you can do is have a roof inspection and replace any damaged or missing shingles. Gutters: Be sure that gutters are free from debris and are properly channeling water away from the foundation of the home. Leaky Faucets: Check all faucets, including showers to make sure they are not leaking. Furnace and Air Conditioner: Have your furnace and A/C unit cleaned and certified. Be sure to change the air filter and make sure it is in good working condition. Smoke and Carbon Monoxide Detectors: Colorado law requires that carbon monoxide alarms be installed within 15 feet of the entrance of each bedroom; smoke detectors are required outside each sleeping area and on every level of a home. Loose Deck Rails or Handrails: Wide spacing between railings or loose rails can be a hazard for small children. GFCI Receptacles: Ground fault circuit interrupters are recommended in areas with a water source such as kitchens and bathrooms.